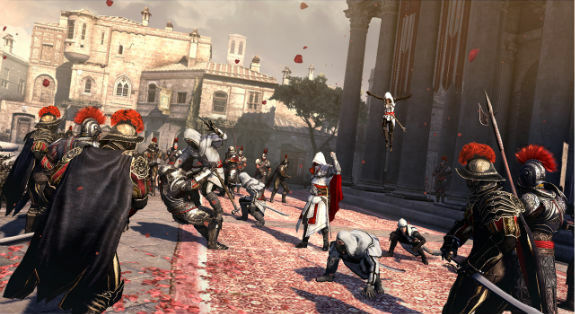 Remember when Assassin’s Creed was all anyone talked about? Yeah, me neither, but it certainly had a period of immense popularity way back when the original game – and proceeding trilogy of Ezio – first leaped onto the scene. Anyway. The guy behind those first few games is back after leaving Ubisoft amidst a storm of controversy several years ago, and boy, has he been busy. The original press conference was described by those who attended as woefully vague, and though we’re seeing some in-game footage here the details are still as scant as they were back in 2015. What we do know is that Ancestors: The Humankind Odyssey was set to be an episodic game, and has since moved toward a more traditional narrative-driven RPG experience. 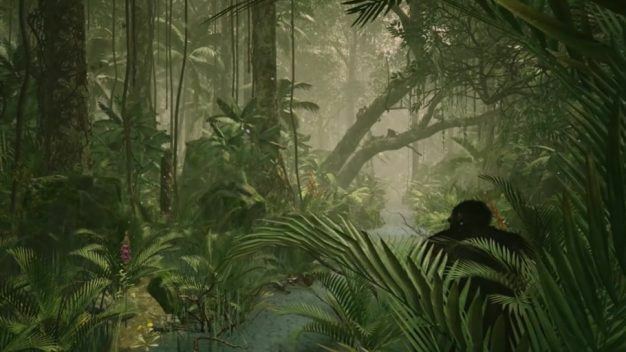 Judging by the title and the setting – Africa, 10 million years ago – I’d assume we’re looking at playing as early human beings; the trailer reveals a band of primates roaming the jungles of pre-prehistoric Earth, with what could be a hint at certain mantling mechanics all too familiar to those fans of Desilets’ previous work. We’re seeing the game’s graphics engine in action, of course, which to all intents and purposes is the latest Unreal Engine: obviously, the game is in an early pre-alpha stage, but already it’s clear that Panache studios – Desilets’ own group – are going for jaw-dropping natural beauty. 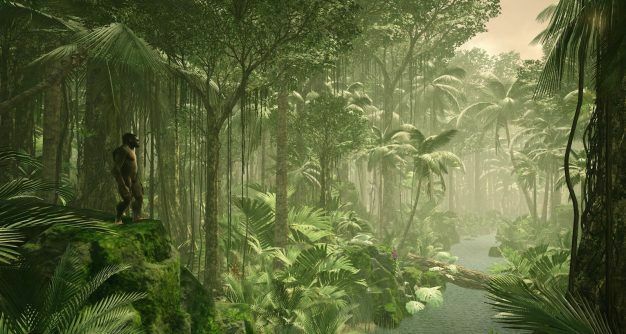 Ancestors: The Humankind Odyssey is clearly going to feature a huge variety of flora and fauna, and based on that glimpsed final shot it’s safe to say that it won’t all be entirely friendly. It seems that the decision to move from an episodic format is as a result of an increase in the game’s projected size and scope: at the Reboot conference, gameindustry.biz reported, Desilets explained that “it was hour to hour; now it’s open and I let the player tell their own stories.” The developer has confirmed that it’ll be a third-person experience, and the blurb that accompanies the teaser mentions being able to mold the future of humankind as you play. I’m thinking Civilisation V meets Far Cry Primal? I’m not actually sure what I’m thinking, because as you can tell, Ancestors: The Humankind Odyssey is currently very much under wraps. We’re all waiting a little impatiently, it seems, but in the mean-time, head over to the Panache website for a (slightly) closer look.